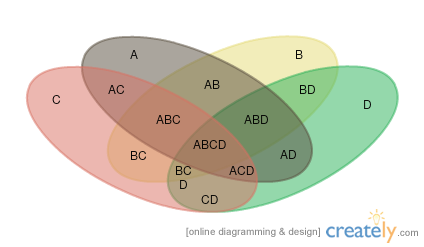 Below are some editable Venn diagram templates/examples available for you in our diagramming community. You can customize them using our Venn diagram software and download them as images, SVG files or PDF files. We have created some downloadable blank Venn diagram templates for your convenience. These PDF downloads are made to fit A4 sheets, so you can easily print them out and use in assignments or classrooms. You can even modify them online to fit your requirement and then download them as a PDF. For example, if you’re a teacher, then you can modify the template online and add name and class as the fields and then download it. You can even add names to the circles, fill some of the circles etc. You’re only bound by your creativity. 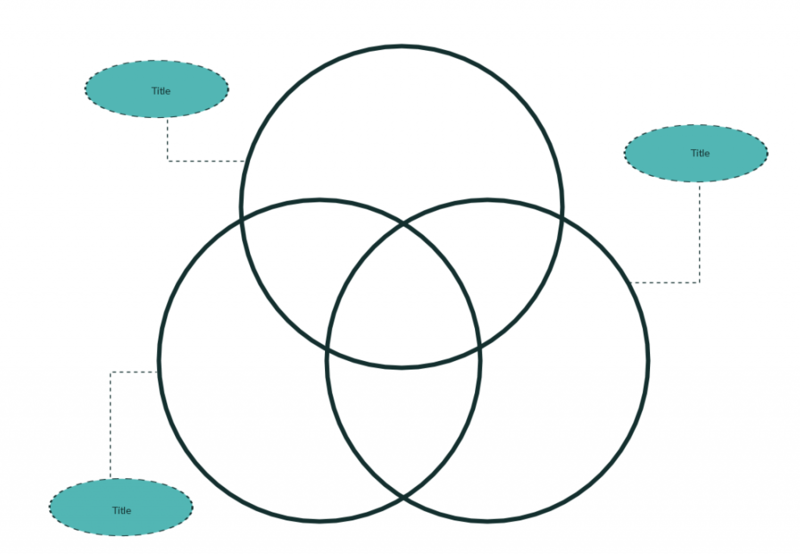 3 set Venn diagrams are frequently used in classrooms, which is why they are one of the most sought-after templates when it comes to Venn diagrams. Creately offers quite a few 3 set Venn diagram templates with 3 circles.Below are some of them. Click on the images to modify them online. 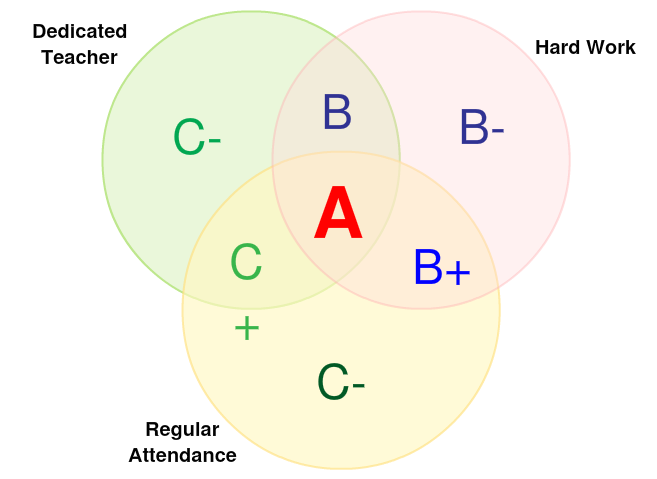 Let’s get started with an interesting 3 set Venn about student grades. Another 3 circle Venn diagram template covering the basics. Another 3 circle Venn diagram example with a different set of attributes. Sometimes you just need a simple Venn diagram template with 2 sets. 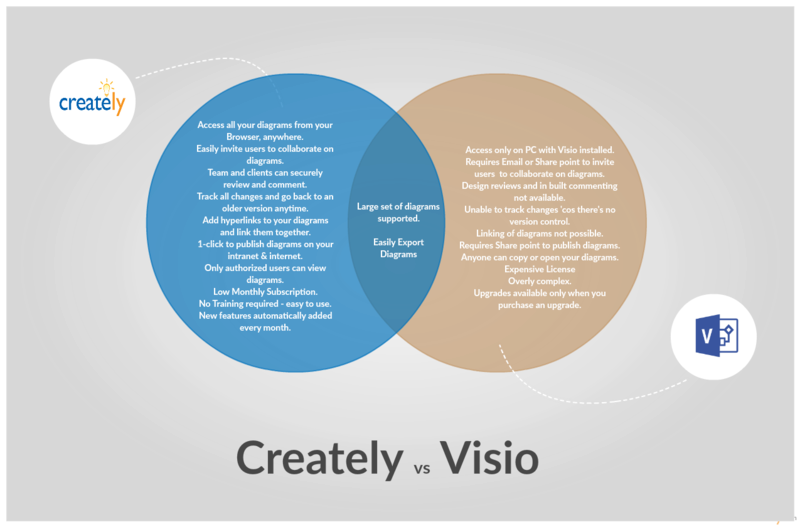 Let’s get started with a 2 set Venn diagram showing the differences between Visio and Creately. 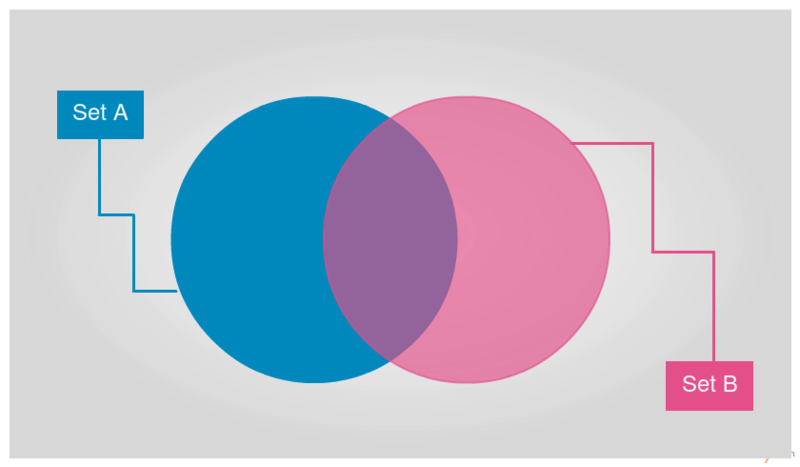 If you want to get started quickly, then below are the most basic 2-circle Venn diagram templates available at Creately. Click on the image to start modifying the diagram online. 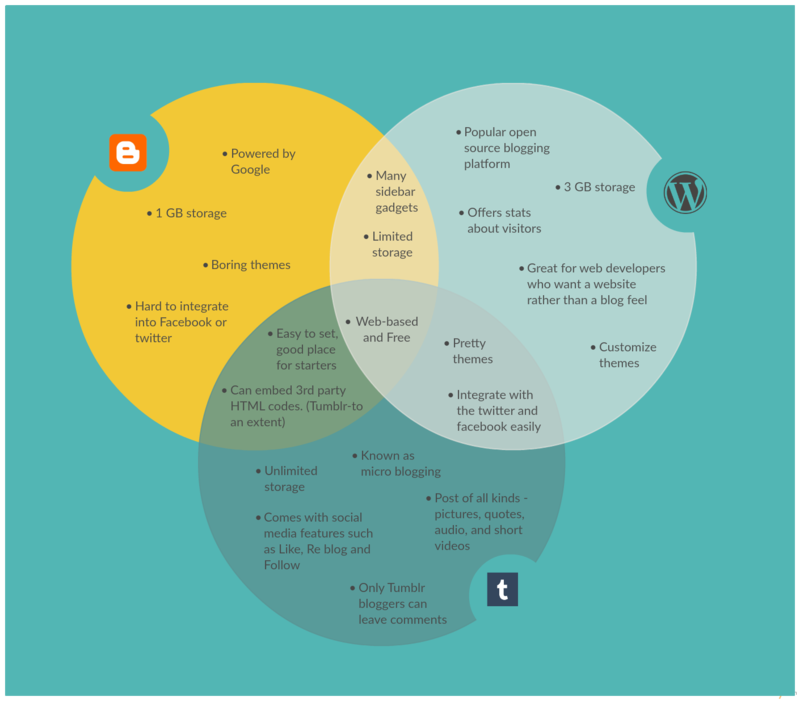 Here is a 3 set Venn diagram that compares 3 popular blogging platforms; WordPress, Blogger and Tumblr. If you are starting a blog in the near future, this Venn diagram could be useful for you in making a choice between these platforms. Click on the image and use it as a template. 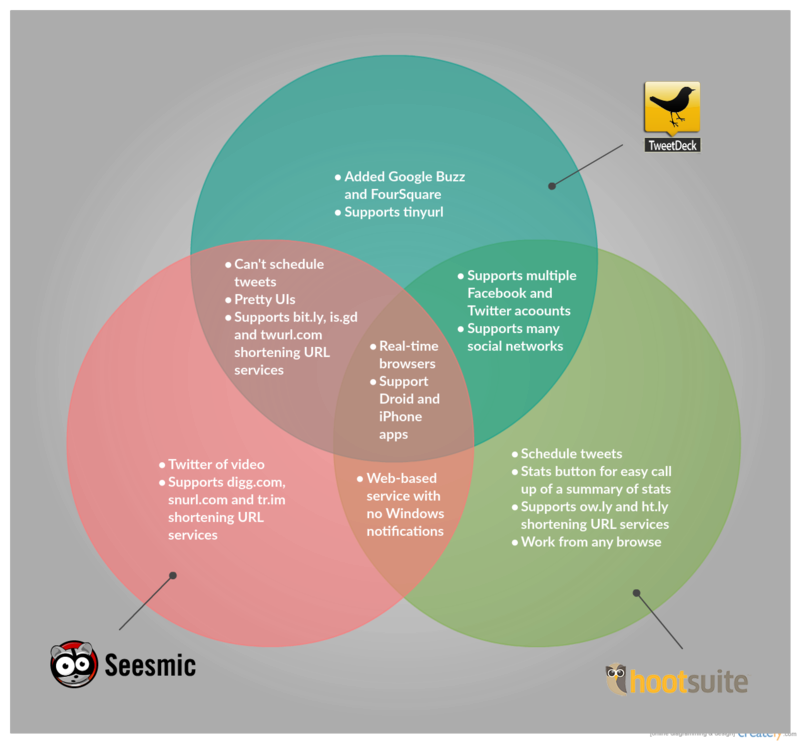 This is another 3-set Venn diagram that analyzes and compares different Twitter tools. Here, we have added brand logos to identify each tool. With Creately, you can search for any image, logo or graphics on Google directly through the app or import it from your own computer. Adding such visual aid to your Venn diagram is an ideal way to appeal to and clarify things to an audience. The template below is a 4-sets Venn diagram. If you don’t like the oval shapes used, you can switch them with circles. Make changes to the template using Creately editor. 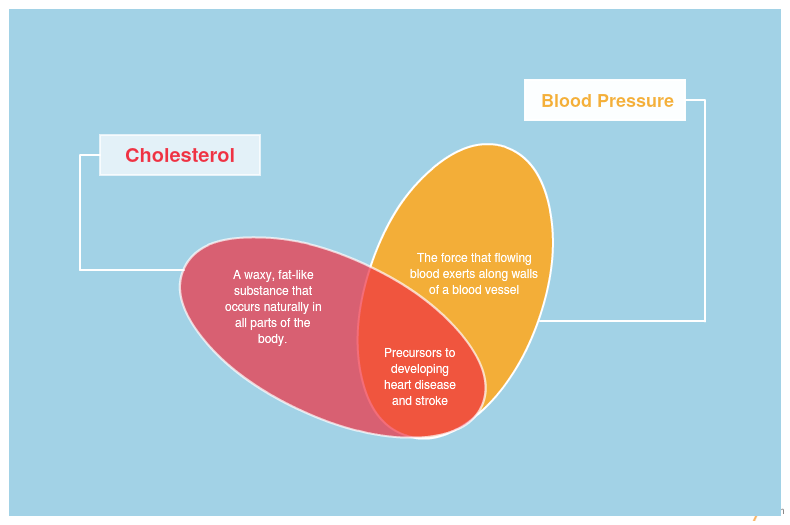 This Venn diagram template illustrates the logical relationships between two health-related subjects; cholesterol and blood pressure. Click on the image to use it as a template. 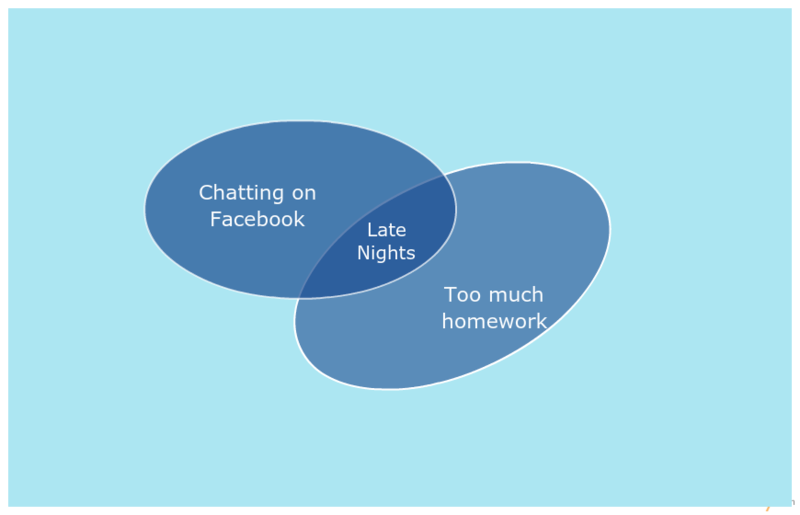 The following Venn Diagram explains the behavior of a student. 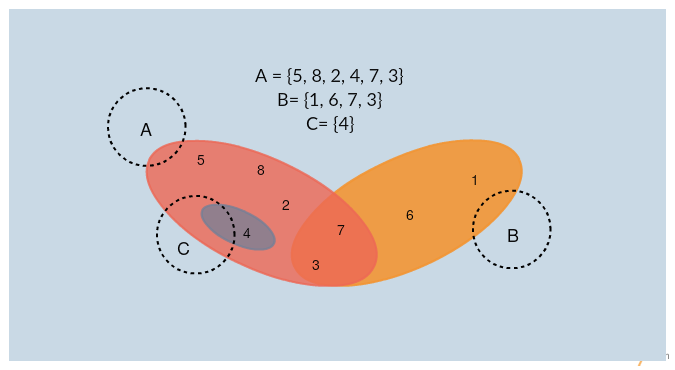 Although both types of diagrams are based on the set theory, Venn diagrams show all possible logical relationships between sets while Euler diagrams only show relationships that exist in the real world. 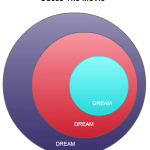 The following diagram is that of a Euler diagram used in Math. 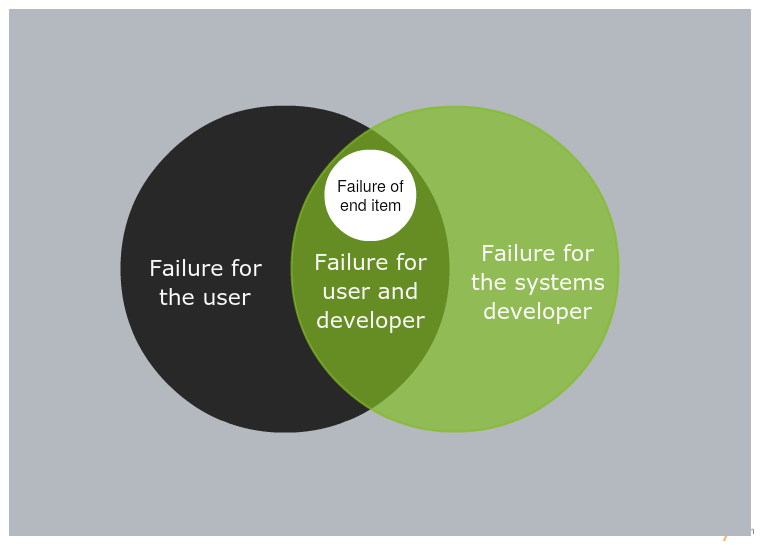 This Venn diagram template describes the possible relationships in a project failure. You can change the color theme using Creately editor. Click on the image to modify online. 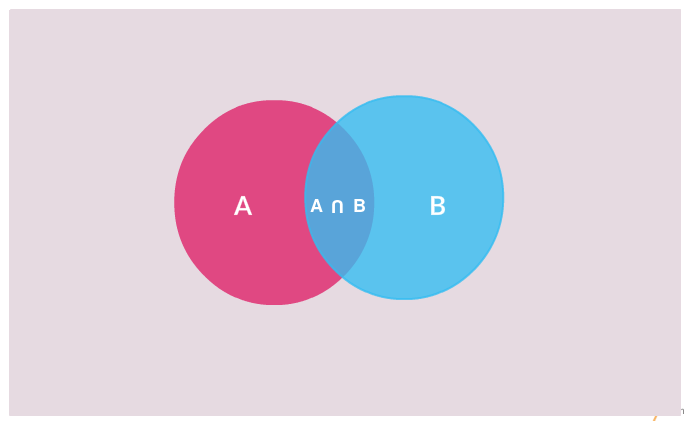 Following are two simple 3-set Venn diagrams for you to download or print. You can add the data before taking a print out. Click on the images to edit them online. 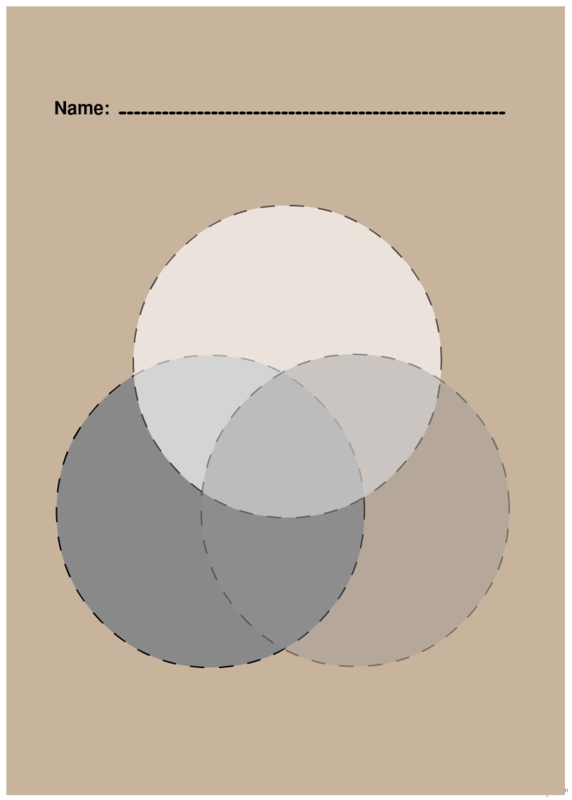 Shown above are some of the Venn diagram templates available at Creately. Creately’s drag and drop interface make it very easy to draw Venn diagrams and many other diagram types. 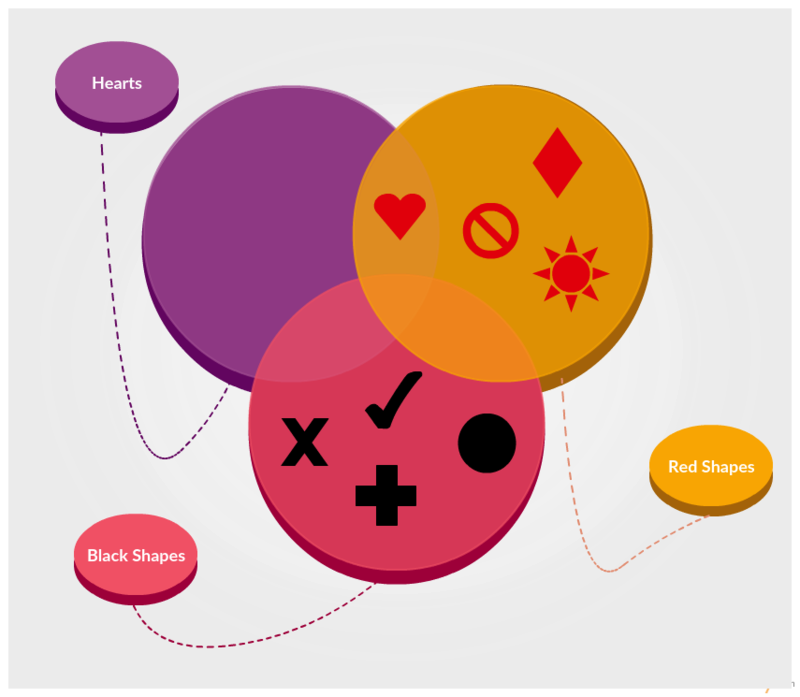 You can adjust the transparency levels, circle colors, line colors etc to create beautiful Venn diagrams. Also, Google image search is integrated into the Creately drawing tool, so you can search for various images right inside the Creately drawing tool and drag and drop those images to your Venn diagram. 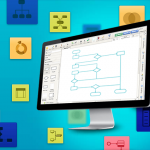 No need to save and import images just to add to your diagram. 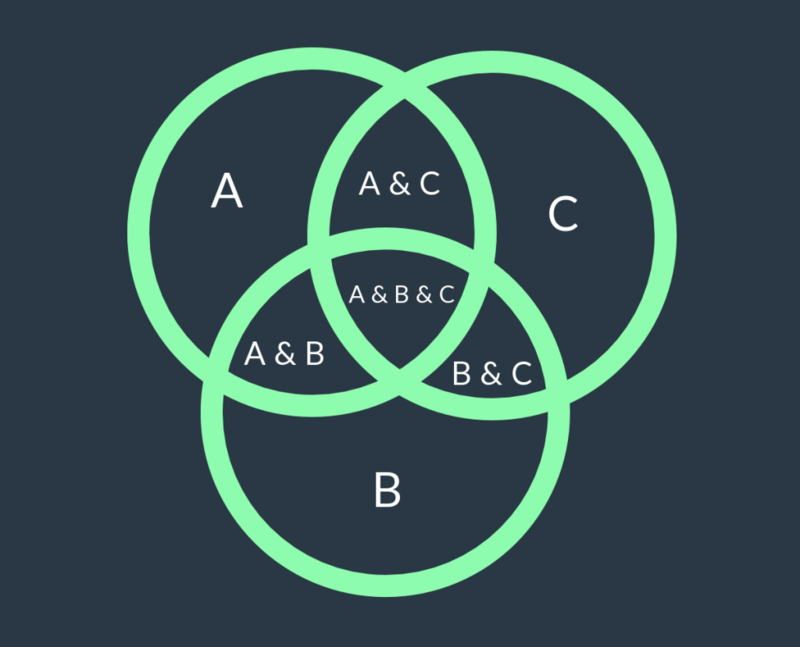 There are plenty more features that make it extremely easy to draw Venn diagrams. Click here to check out Venn diagram software by Creately.